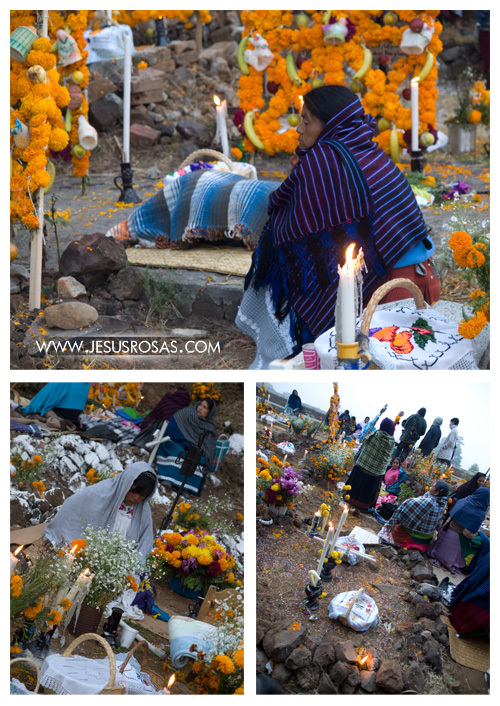 In a previous entry I posted about my experience spending a night at the Great Wall (See: Spending a Night at the Great Wall); today, being Día de los Muertos (Day of the Dead) in Mexico, I’ll share with you a couple of pictures of that night I slept at the cemetery in 2010. 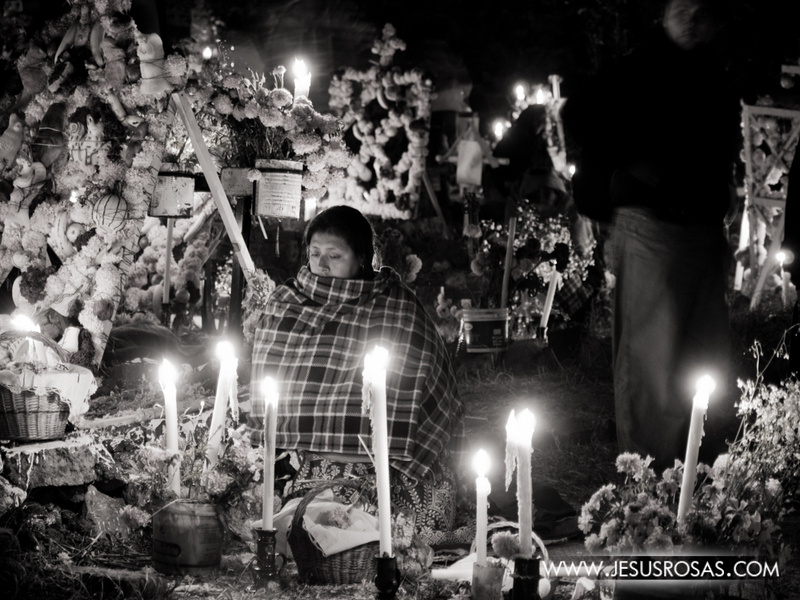 As many of you may know, in Mexico we have many important traditions, one of them is el Día de los Muertos (Day of the Dead), which is every year on November 2. 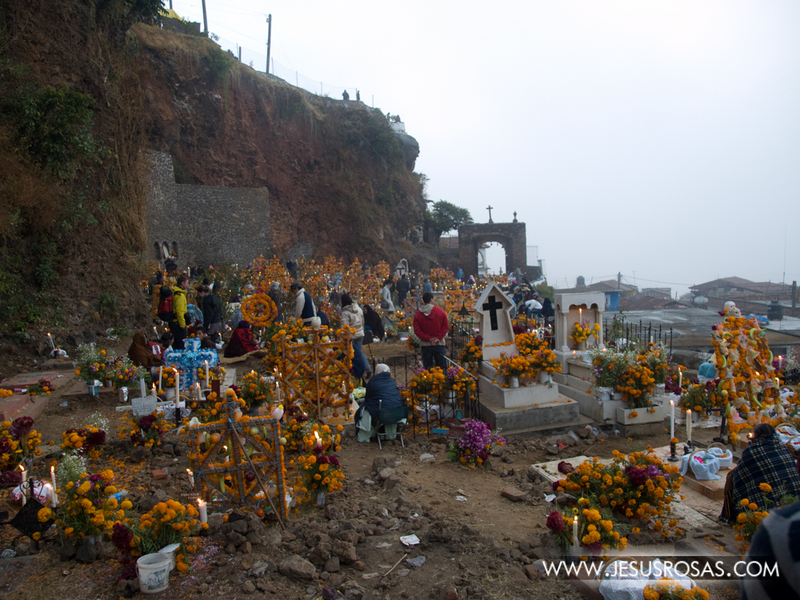 I won’t write about this holiday in this post; today I want to tell you about a small cemetery located in a small island somewhere in Patzcuaro Lake, Michoacan, Mexico. The island is called Janitzio. 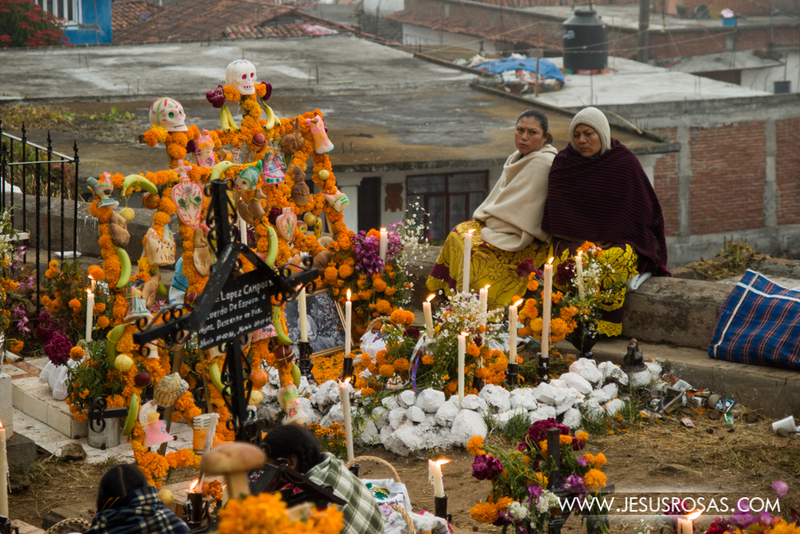 Janitzio has its own attractions, I could tell you about its colorful homes, its food, shops, festivities and so on, but today I will just tell you about its small graveyard during the Day of the Dead. I went there in 2010 with two of my sisters and a friend. After touring around at night, we went to the graveyard and waited at one of the gates. 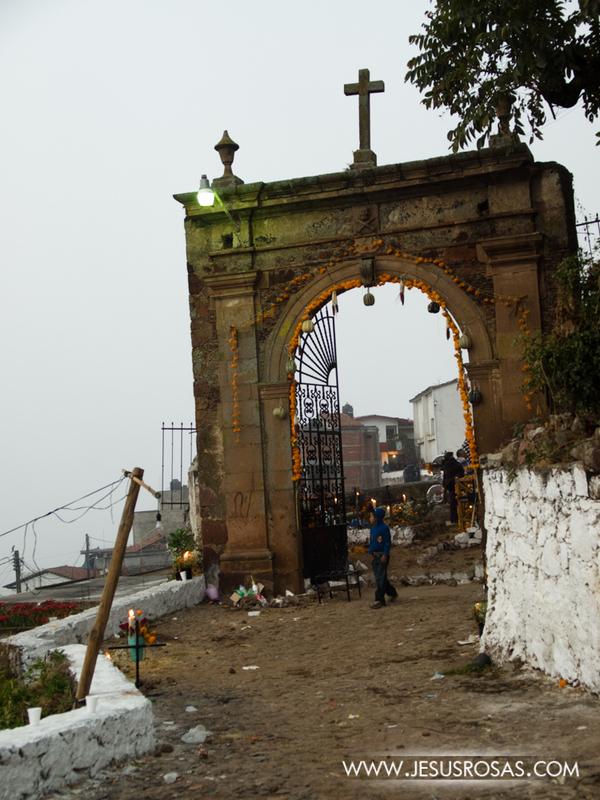 Once the doors were opened we entered and were amazed by the candle lights, flowers, colors, prayers, and offerings. At first there were so many people, but later on they were gradually leaving, including my sisters and friend. I stayed with the intention of spending the night there. I wanted to watch and take pictures all night. Here are some of the pictures I took. Note: Some descriptions are at the bottom of each picture or set of pictures. Individual pictures can be enlarged if you click on them. 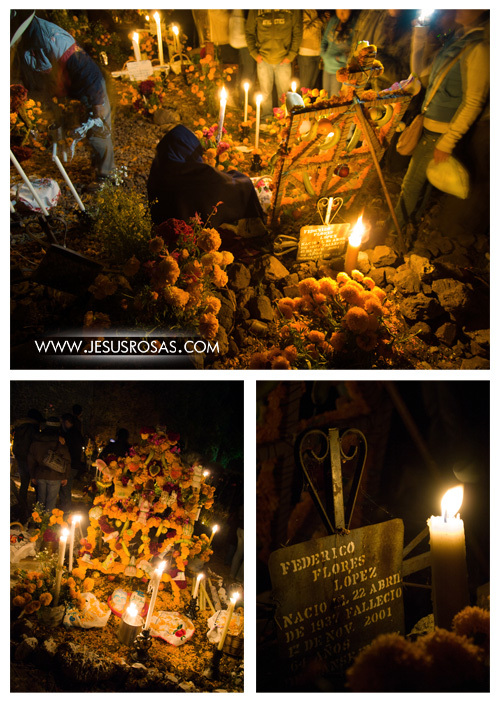 Graves were decorated with candles and many cempasuchil flowers (a type of yellow and orange marigold flower). 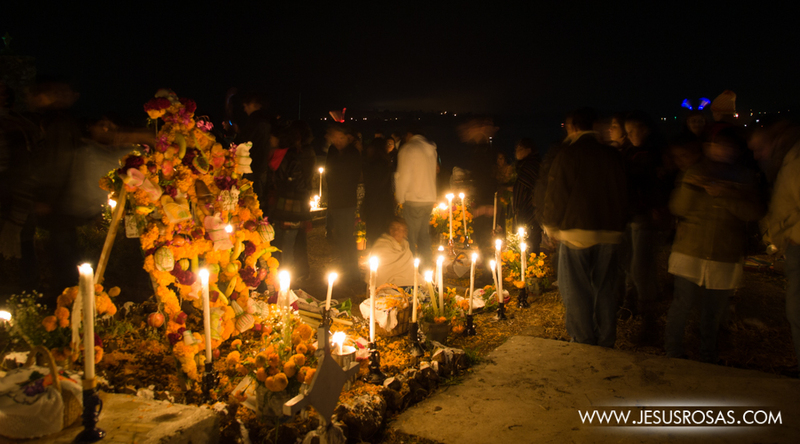 Every year in Janitzio the graveyard is full of local people, other tourists from all over Mexico and foreigners from all continents. As soon as the graveyard is open, people come in and it is almost impossible to walk because it is all crowded. As the night goes by, people start leaving gradually and you notice that now the majority of those who stay are the relatives of those who have passed away and are buried in that cemetery. In the pictures above you can see some baskets with food. 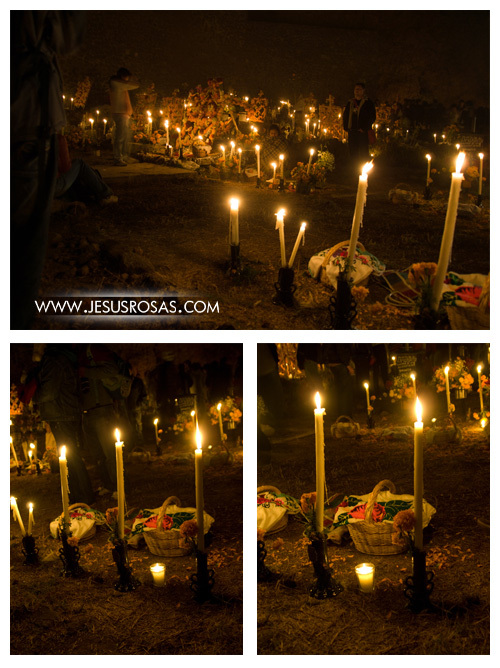 One of the several observed traditions during the Day of the Dead is bringing food offerings to the dead. Relatives of those who are dead spend the night at the graveyard repeating prayer after prayer in behalf of their relatives. They also eat, sleep and mingle during this night. It is their moment to remember their dead relatives, and for some, it is a time to bring them some company, joy, and affection; a way to keep still in memory those who are gone and never let them be forgotten. 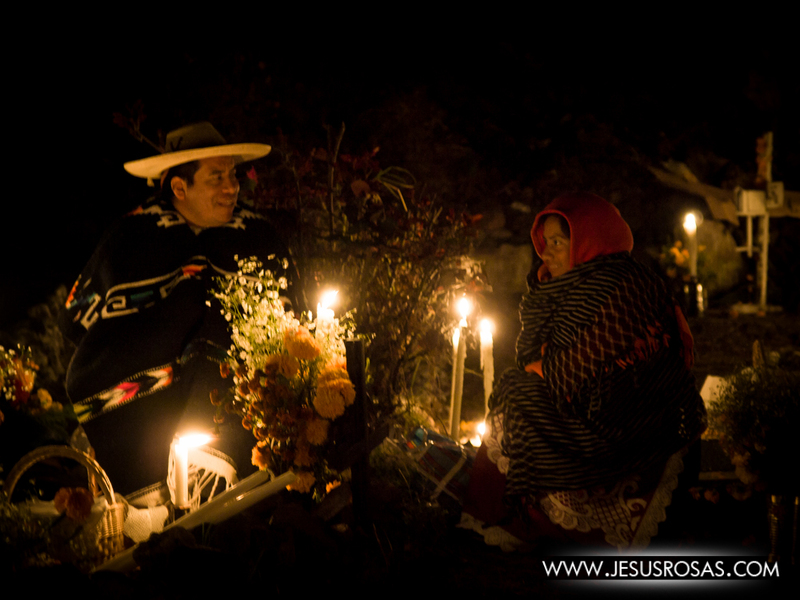 As the night gets colder, the living take their blankets and coats to keep themselves warm. As time goes by, the early morning comes but the candles don’t fade. Those who still have some energy don’t sleep and continue in vigil. 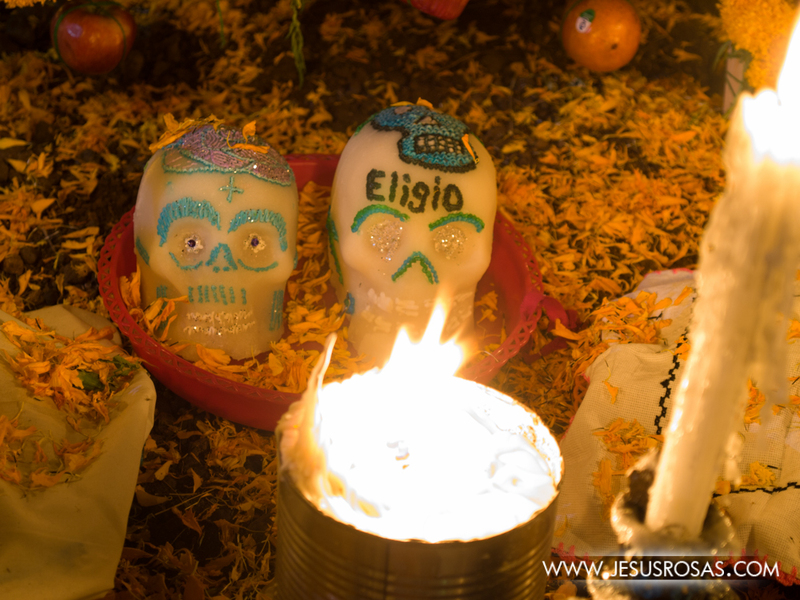 As part of the food offerings, there are always sugar skulls decorated even with the name of some of those who are gone. Once the morning has arrived, the ones who stayed wake up to offer their last prayers and pay their last respect to their deceased relatives. Some get lost between prayers and thoughts of nostalgia while others come back to give a last glimpse to the cemetery and its visitors. People begin getting ready to come back to their daily routines. If you would like to receive an automated notification with new posts of this blog, enter your email address next to the title of this post at the right top. You will receive an email to confirm your subscription. If you don’t receive anything, look in your spam folder. If you liked this post, click on the “Like” button. Comments section below. Thank you for this gorgeous photography and the description of your experience. I shared this post on a Facebook page I manage called “Mormon in St. Louis.” Happy Day of the Dead from your fellow Saints in Missouri!